Sperm life staining, evaluate sperm motility rate and male fertility. Eosin can stain sperm into red by passing through impaired cell membrane, but intact sperm cannot be stained. 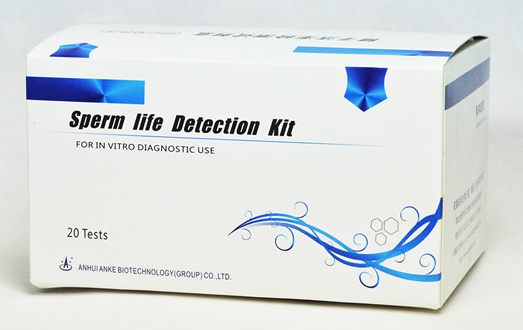 The kit can be used for the evaluation of sperm motility rate and male fertility. Stored at room temperature for 12 months. (2) After 1 minute, counted 200 sperm and observed the sperm motility life under optical microscope. Eosin can stain sperm into red by passing through impaired cell membrane, but intact sperm cannot be stained. Sperm have to be fresh. [The registration Number of Medical Devices] GSYJX (Z) Z2011N1400164.